November is a really good time to plant fruit bushes, and trees if they are allowed on your allotment. Bare root plants are available and Perryhill nurseries are an excellent place to buy them, they have a really good selection of good quality plants. www.perryhillnurseries.co.uk. 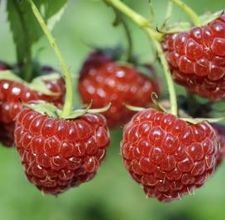 This is a good time to plant fruit bushes as the soil is still warm but not too wet. This means that the plants will put down roots quickly and get established. Bare root plants establish quicker than container grown ones, they tend to be more hardy and robust as they have been grown in the field. If the plants arrive before you are ready for them the heel them in this means digging a shallow trench in the sheltered position and plant the roots of the bushes in the trench, then cover them with soil and keep them watered until you are ready for their final position. Fruit bushes are best planted through a weed suppressing membrane, such as Mypex or a similar brand. You can lay they membrane, after removing all perennial weeds, cut crosses in the fabric where you want your fruit bushes to go, add some manure and then plant. Makes sure the bushes have plenty of space in between them – the will prevent diseases such as mildew. They need at lease a metre between bushes each way. If you haven’t already done so, remove any canes that fruited earlier in the summer from loganberries, blackberries or summer fruiting raspberries. If your allotment is in a windy position then tie the tops of any blackberries or loganberries together and tie them to wires so they do not suffer wind damage. A fruit cage is the perfect answer to protecting your fruit – if you have one take the top off so that the birds can get in to eat the pests. If bullfinches are a problem leave the top on. Why not create some arches and pergolas on your allotment, use wood from skips to create an arbour to grow roses and honeysuckle over; it will make a lovely seating area next summer. It may well be a good time to mend your shed a make sure your water butts are in place ready to collect water over winter. Think about how you are going to harvest your water. Plant a mixed hedge with native plants to encourage wildlife, Hawthorn, Hazel and Blackthorn are all excellent and give plenty of food for insects and birds as well as making a good barrier. really helpful article – i came across it via google as I live in brighton and am planning to plant some fruit trees in my garden. I’ve never done it before so have no idea what I’m doing!